A new service has recently become available to local parents that helps reduce the cost burden of diapers. Organized by Mountain States Early Head Start, the diaper bank is the first of its kind in North Idaho, and was created in collaboration with the Idaho Diaper Bank, United Way of North Idaho, Nurse Family Partnership, Inland Northwest SIDS Foundation, and the Community Library. Mountain States Early Head Start is able to offer each enrolled family 50 high-quality diapers per month. “This is especially important as sometimes families have to make the heart-wrenching decision to not change their child’s diaper as often as needed in order to put food on the table or gas in the car. One out of every three families in the U.S. struggles to afford diapers (nationaldiaperbanknetwork.org). 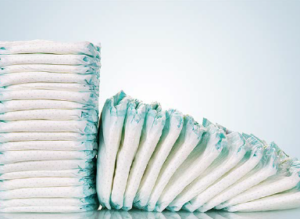 Without clean diapers, children cannot participate in childcare, which means parents cannot go to work or school,” said Kimberley Seitz of Mountain States Early Head Start. These diaper donations enable hard-working families to stretch their dollars while also helping to assure that each child has ongoing access to clean diapers to help prevent rashes and discomfort. Mountain States Early Head Start provides comprehensive, free early child development services to prenatal women and children birth to age three in Kootenai, Shoshone, and Bonner counties. Services are provided that support attachment and help set a strong foundation for later success in school. Through numerous grants, they have also been able to provide free community parenting education, using a research-based attachment intervention designed to support vulnerable families who have experienced trauma or need additional support.